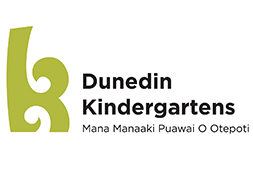 We are named after Rachel Reynolds, one of the founding members of the kindergarten movement and are proud to have been in the South Dunedin Community for over one hundred years. You are welcome to walk in through our gate, meet kaiako / teachers and find out what we can offer you, your child, family and whānau. All children have the opportunity to learn at their own pace, immersed in a strong, literacy rich, bicultural and fun learning environment. South Dunedin Kindergarten opened in St Peter’s Church Hall in 1906, then shifted to Wesleyan Church School room. A new building opened in 1914 as Rachel Reynolds Kindergarten. This was demolished in 1977 as an earthquake risk and the present kindergarten built in 1978.